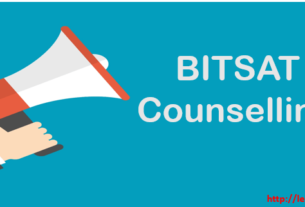 BITS Application Form 2019: BITS 2019 Application Form has been released on 5th January 2019. Candidates can fill the BITS Application form the official website of the BITS. The last date of filling the online Application form is 20th March 2019. BITSAT known as Birla Institute of technology & Sciences admission test. It is conducted to admission in integrated courses (engineering, pharmacy) which is offered by the various BITS Campuses. The top level engineering entrance after JEE Main 2019 which is offered admission into the various BITS Campuses like Pilani, Goa and Hyderabad. 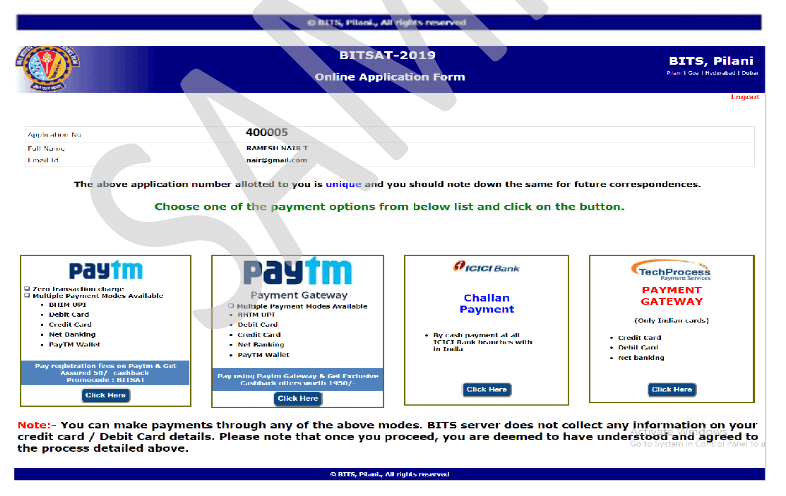 BITSAT Application Form available from 5th January to 20th March 2019. The Candidates can fill the Application from http://www.bitsadmission.com/bitsatmain.aspx. The Application Fee for the Exam is INR 2950/- for Males, INR 2450/- for Females and $ 70/- for those candidates choosing Dubai as their BITSAT Exam Center. The Exam will be conducted in Online Mode, Check BITSAT Exam Pattern. BITSAT Application Correction will be Started from 22nd March to 25th March 2019. BITSAT Slot Booking will be Started from 28th March to 8th April 2019, Click Here for more info. 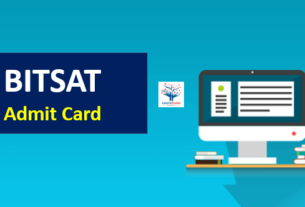 BITSAT Admit Card will be available in online mode from 12th April 2019. 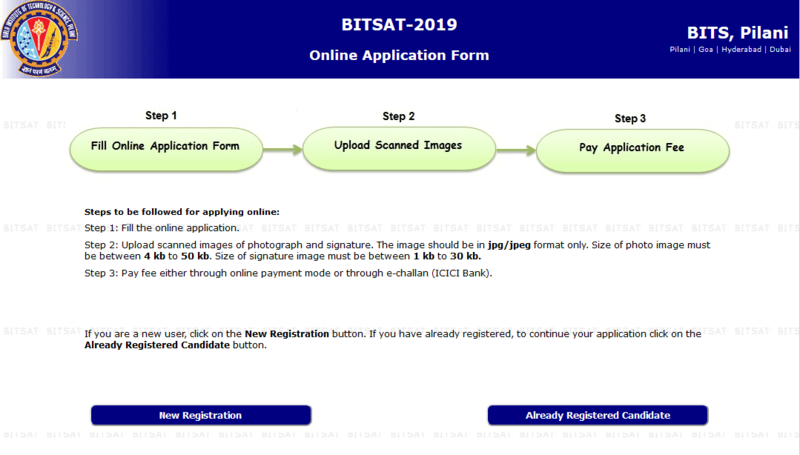 BITSAT 2019 Online Application Form has been released now, Click Here to Fill Application Form. BITSAT 2019 official notification has been released, Click Here to Check official notification. Here you will get important details about application form. Candidates can register through the online application form which is available in the official website. The authority already declared that candidates can apply through offline mode. BITS Released their application form on 5th January 2019 for integrated courses which is offered by their campus and the registration process will continue till 20th March 2019 (6:00 PM). It is advised to the candidates that don’t wait for the last day because most of the time the site goes down on the last date of registration. The authority provides a facility to the candidates that they can choose maximum three exam centres. The exam centers will be allotted to the candidates on the basis of their preferences and availability of exam centre. Those who want to appear from Dubai need to choose Dubai as a exam centre in the preference at choice filling time. Once you fill application form successfully then you need to take a printout of your confirmation page for future purpose. Those who select Dubai as exam centre, need to pay US $670 (Rs. 4500/- in India for both female and male candidates). Candidates can pay application fee via online and offline mode. For offline mode, they can pay via e-challan of ICICI bank and for online mode need to pay via credit card/debit card/net banking. Know how to apply for BITSAT? Read given instructions carefully and click on “Allow me to Apply Online” button. If your are new user then click on “New Registration” if you are a registered user click on “Login” button. Fill the required details like Name, Gender, Address, Email ID, Date of Birth, etc. Now click on “Proceed” button. Now select your preferences of exam centres. If you satisfied with your filled application form then click on “Confirm and Submit Details” button but if you think you have made mistakes then click on “Edit and Save Details” button. Keep the generated application number for future purpose. The follow the step 2 and upload your scanned images. Candidates need to payment of application fee. Once you have completed all the step then you need to download confirmation(acknowledgement) page and take printout of this for future purpose. 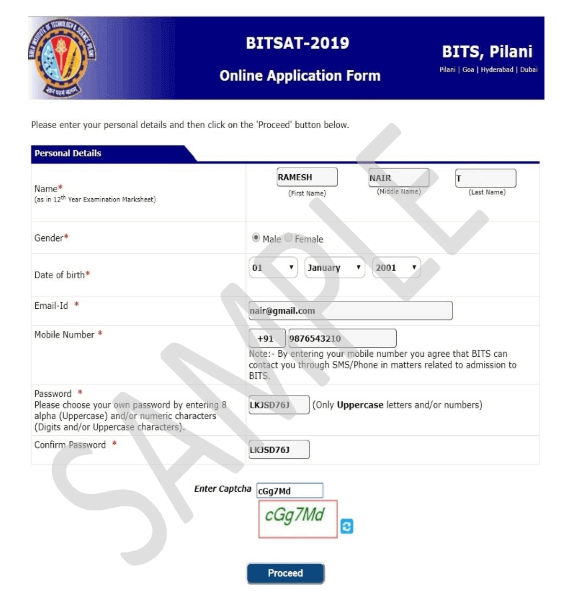 The BITSAT 2019 Application Correction will be started form 22nd March 2019 to 25th March 2019, Candidates can edit or modify min the BITSAT Application Form in the online mode only, BITS Pilani authority will provide an online window for the Application form correction. With the help of Application, correction window candidates can make changes in the submitted Application Form. Before going to fill BITSAT Application Form candidates need to check their Eligibility Criteria. Here you will find are your eligible to apply or not. Qualifying Exam: Candidates must pass the 10+2 from recognized Board. Subjects: Candidates subjects should be Physics, Chemistry, Mathematics in their qualifying examination. In English they will be proficient. Qualifying Exam: Candidates must passed the 10+2 from recognized Board. Subjects: Candidates subjects should be Physics, Chemistry, Biology in their qualifying examination. In English they will be proficient. Minimum Marks: Candidates must have minimum 75% marks in their qualifying exam. Appearing Candidates: Those who currently appearing for the qualification examination also eligible.